One Queensridge Place Condominiums and why it may be the perfect high-rise for you. 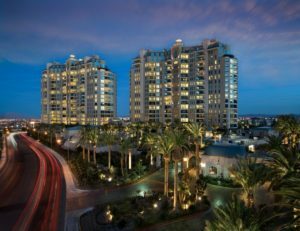 One Queensridge Place on the edge of Summerlin is arguably the most luxurious high-rise condominium building in Las Vegas. My buyers were looking for a very secure, up-to-date and luxurious condominium with great views. One Queensridge Place had everything they wanted and more! They finally settled on a beautiful 3,300 square foot unit on the 11th floor priced at $1.5 million. I started off by showing my buyer’s multiple high-rise condos on Las Vegas Blvd. There are some great buildings on The Strip but the only one that can compete with One Queensridge Place in terms of luxury and amenities is Mandarin Oriental. Nestled in the heart of The Strip, Mandarin Oriental offers a lifestyle that is great if you want to be in the hustle and bustle of the Entertainment Capital of the World. With world-class restaurants steps from you home, the biggest shows in the world and luxury shopping to die for, living on The Strip offers a unique lifestyle unlike any other in the world. Mandarin Oriental also offer amazing views of The Strip! Although my client’s were very impressed with the building and the nearby amenities that Mandarin Oriental featured, they wanted a more family friendly neighborhood that offered a local dining and shopping experience without the traffic and noise that the strip can often have. It was very important for my client’s to be able to quickly enter and exit the property when needed. Once they experienced first hand what One Queensridge Place was all about, they fell in love with the property. One Queensridge Place offers not only great views of The Strip but also of the surrounding mountains of Las Vegas and the nearby golf courses. Some of the units literally span across the entire building offering views in every part of the city all from within your condo. Some of the other great features that One Queensridge Place offers is a 24-hour manned security gate, on-site concierge, valet parking, a doorman, enclosed garages underground, private elevators that go directly to your unit, a world class spa and fitness center, indoor and outdoor pools & private wine cellars. One Queensridge Place has two 18-story towers with a total of 219 custom units. They range in size from 2,000 square feet to 15,000 square feet. All units feature luxurious appointed finishes that include stone, custom stained cabinets, granite counter tops, decorative molding, mosaic inlays and natural stone bathrooms. All appliances are made by Viking. There are also “Guest” casitas available to all friends and family of residents. These guest casitas feature a master suite, a well appointed kitchen and a spacious living area. Please visit my high-rise page which features every high-rise in Las Vegas or if you would like to see homes for sale in One Queensridge Place, please click here to go directly to all available listings. 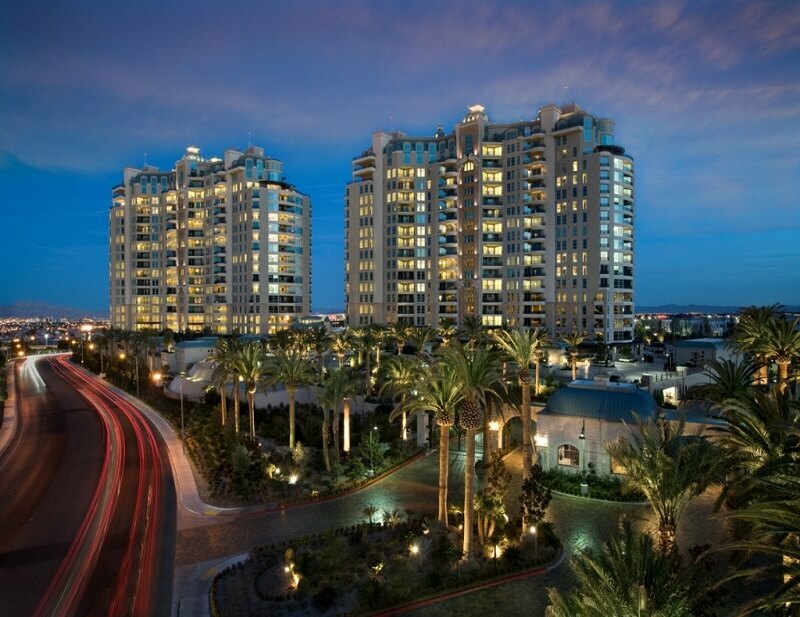 If you would like more information about One Queensridge Place or any other luxury property in Las Vegas, Summerlin or Henderson Nevada, please contact me today!